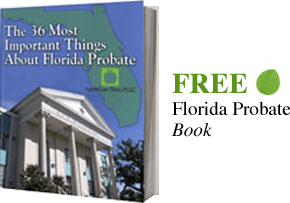 In Jacksonville, there are six degrees of crimes, and there are maximum penalties associated with each degree as proscribed under Florida Statute 775.082. As a result your representation and the crime you are ultimately charged with can have significant effects on your liberty. The best time to contact an attorney is when you believe you are under investigation, because there are more opportunities to investigate your case, the potential witnesses, and discuss the case with the state attorney. Life Felony: These Florida crimes are punishable by up to life in prison. First Degree Felony: These Florida crimes are punishable by up to 30 years in prison. However, some crimes allow a first degree felony to be punishable by up to life in prison. Second Degree Felony: These Florida crimes are punishable by up to 15 years in prison. Third Degree Felony: These Florida crimes are punishable by up to 5 years in prison. First Degree Misdemeanor: These Florida crimes are punishable by up to one year in the county jail. Second Degree Misdemeanor: These Florida crimes are punishable by up to 60 days in the county jail. If you have been charged with a crime in Jacksonville or the surrounding areas of Florida or believe you are under investigation of criminal activity call us at 904-685-1200 or contact a Jacksonville Criminal Defense Attorney as soon as possible to set up a consultation.